We may only be at the start of the second half of the Top 16, but this is shaping up to be a massive game for both of these teams. Nizhny grabbed a big win the last time these two sides clashed, winning 59-79 in Milan with Trey Thompkins and Taylor Rochestie being on top form. If Milan are looking to avenge that defeat they will know that they need to stop Rochestie from running the game. 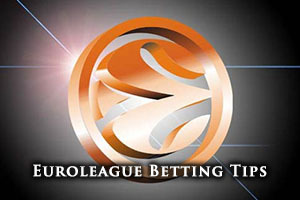 However, as anyone who taken a keen interest in Euroleague basketball betting this season will know, that is a task that is often easier said than actually done. Novgorod come into this game with a 7-10 record in the Euroleague, with a 2-5 record in the Top 16 and a 5-5 record in the regular season. They sit ahead of their Italian rivals and they will be desperate to put some daylight between the two sides in this game. Novgorod have managed to notch an average of 78.8 points this season on their European travels and they will need to hit the high points if they are to remain on track for progress out of the Top 16. The fact that Taylor Rochestie is the top man for Nizhny is no surprise and he leads the way for average points and assists this campaign. He has grabbed an average of 19.7 points per game so far this campaign while also adding an average of 6.3 assists per game. You can see why the Milan side will be focusing their defensive attention on Rochestie. Another key man for Novgorod will be Trey Thompkins who has served up an average of 8.1 rebounds per game this season in the Euroleague. Domestically, Nizhny are sitting in third place with a 15-5 record, behind leaders CSKA and Khimky. Their most recent domestic game saw Novgorod lose at home by 80-84 to Unics Kazan. There is no doubt that this season isn’t panning out in the manner that Novgorod fans were hoping for but there is still time to turn the campaign around. Milan currently hold a 6-11 record in the Euroleague this season, holding a 5-5 record in the regular season and a 1-6 record in the Top 16. Only winning one game in the first half of the campaign has severely dented Milan’s hopes of progress but an away win here could transform their season. Milan has scored an average of 75.1 points per game this season with Marshon Brooks leading the way with respect to points scored. Brooks has served up an average of 11.5 points per game this season while Samardo Samuels has offered an average of 5.3 rebounds per game. Daniel Hackett has provided an average of 4.4 assists per game this Euroleague campaign and there is a need for all of Milan’s players to stand up and take some action if they want to reinvigorate their season. Things are certainly brighter for Milan domestically, with the team sitting at the top of the table with a 17-2 record. In their most recent game, they defeated Sidigas AV by a score of 95-78 in Milan. 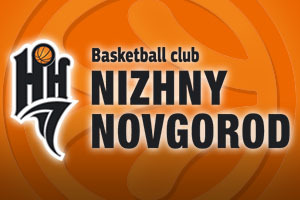 This is a match that is there for the taking by either side but we think that taking Nizhny with a -6.5 handicap, and odds of 1.90 is a good use of your time and money. If you want to take on the Over/Under bet, choose Under 160.5 at odds of 1.90 and both of these bets are available from Bet365. Bet Now!